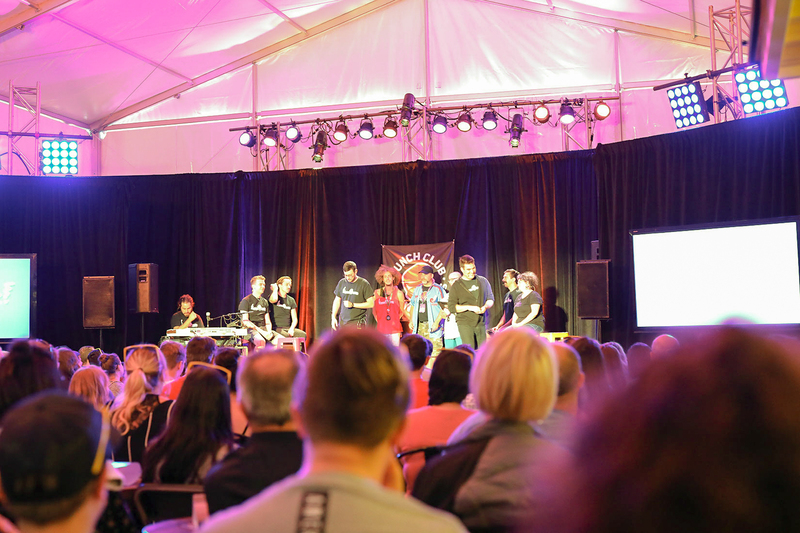 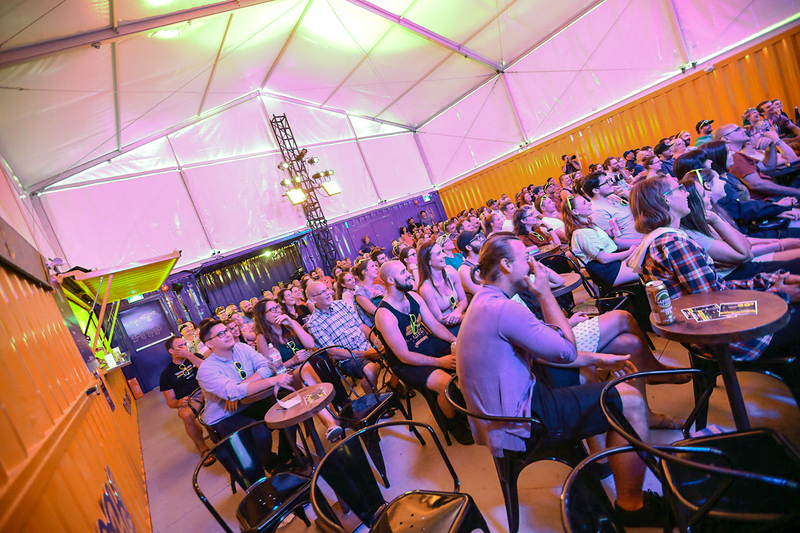 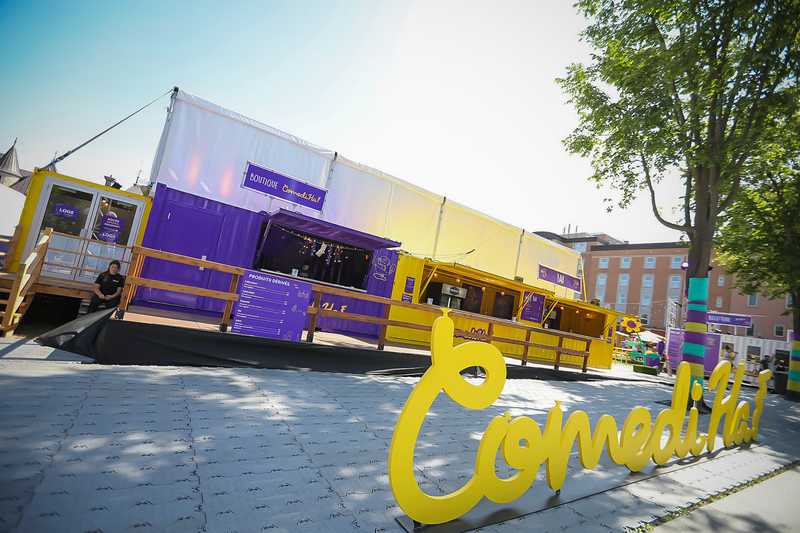 ComediHa!, a Quebec City-based comedy festival, needed a theatre installation that could be moved from outdoor venue to outdoor venue as a pop-up modular building. 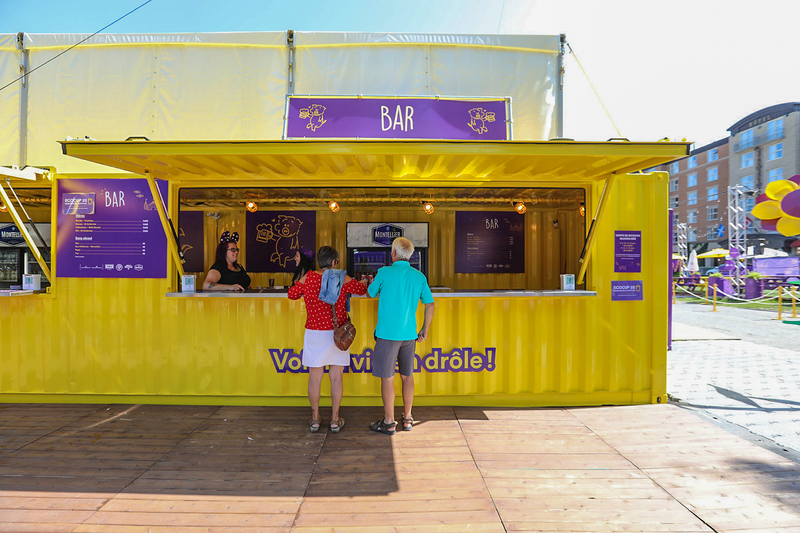 Loki Box Design came up with a mobile architecture concept that incorporated seven used shipping containers in a rectangular form which was then furnished with a removable canvas roof. 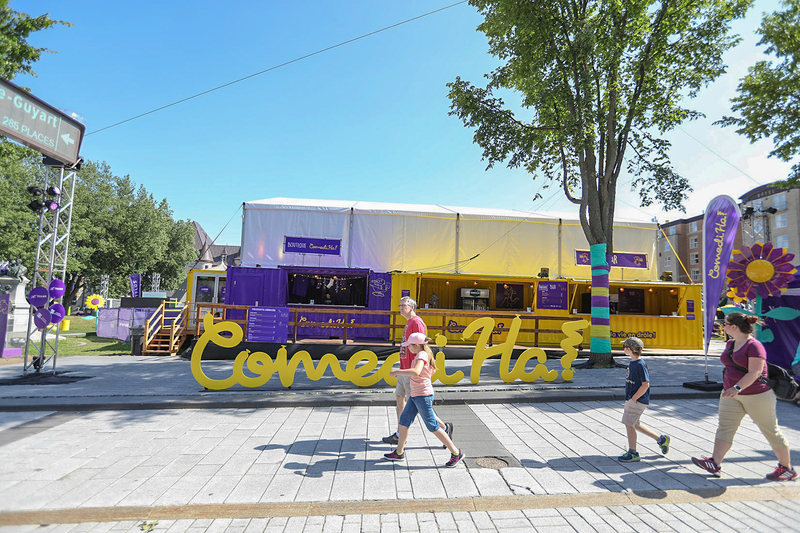 The finished product, the world’s first mobile theatre built with recycled shipping containers, saw its inaugural performances August 8 to 19 at Place Georges V for the 2018 ComediHa! 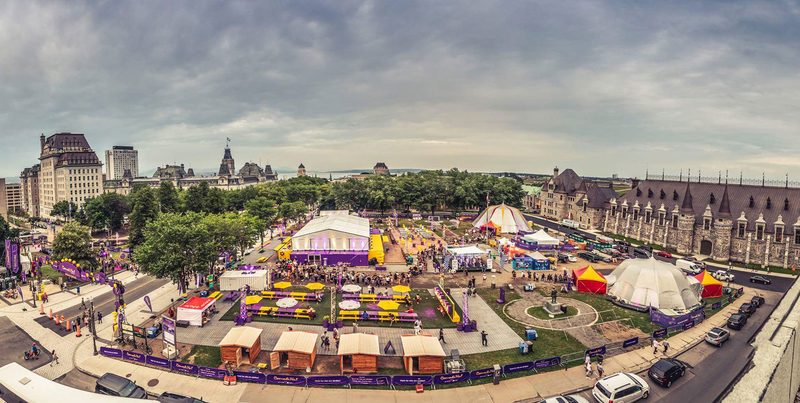 festival. 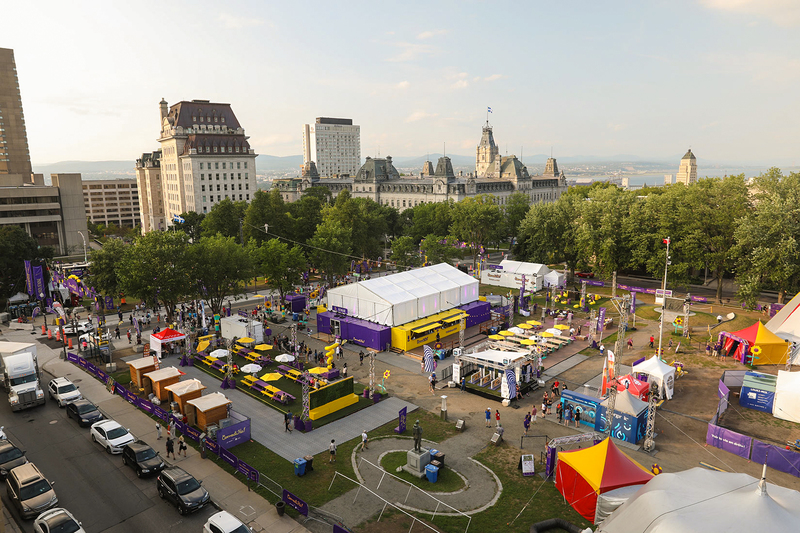 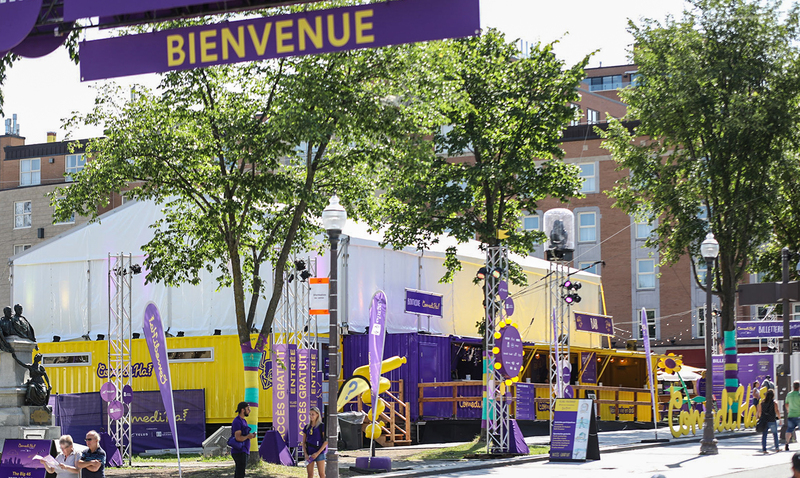 With the shipping containers painted alternating yellow and purple, the festival’s colours, the finished structure seats 216 with an inside ceiling height of 26 feet. 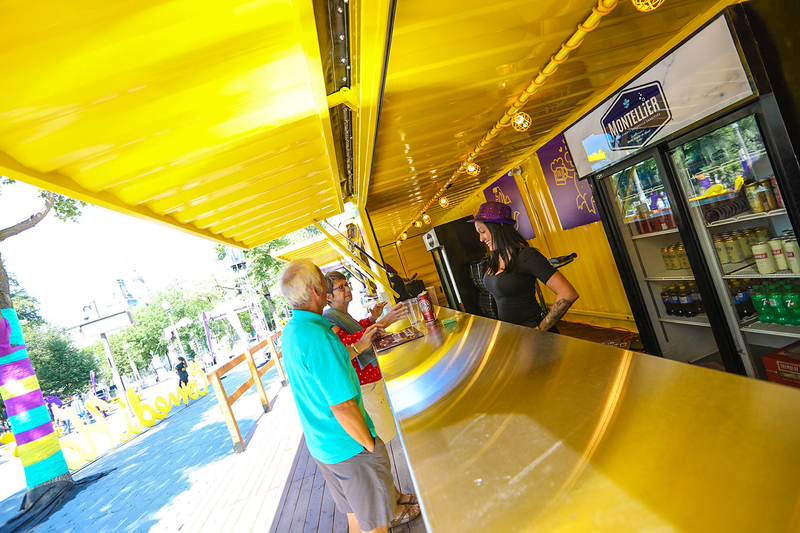 It is air conditioned, features bar service and is affectionately nicknamed the Ha!ngar. 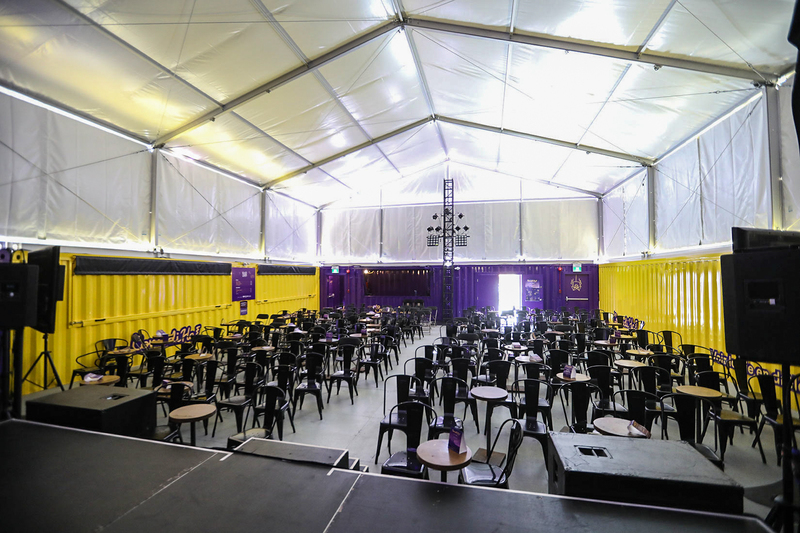 The containers, which range in length from 20 to 40 feet, serve as dressing rooms for the performers, master control, the shop, the bar as well as entrance and exit areas. 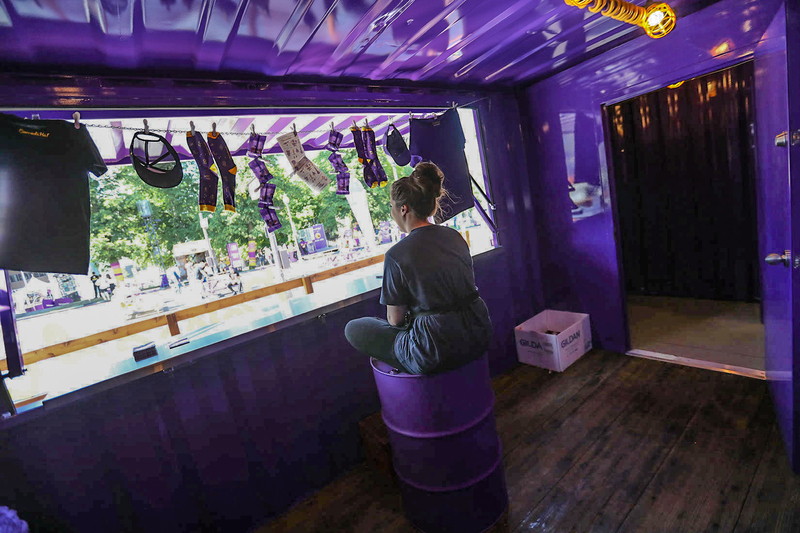 Thoughtful placement of the access doors to each container divides the open outdoor space into a seating area for customers plus other amenities inside, while production needs can all be kept separate yet accessible on the outside of the array, a huge benefit to crews and customers alike. 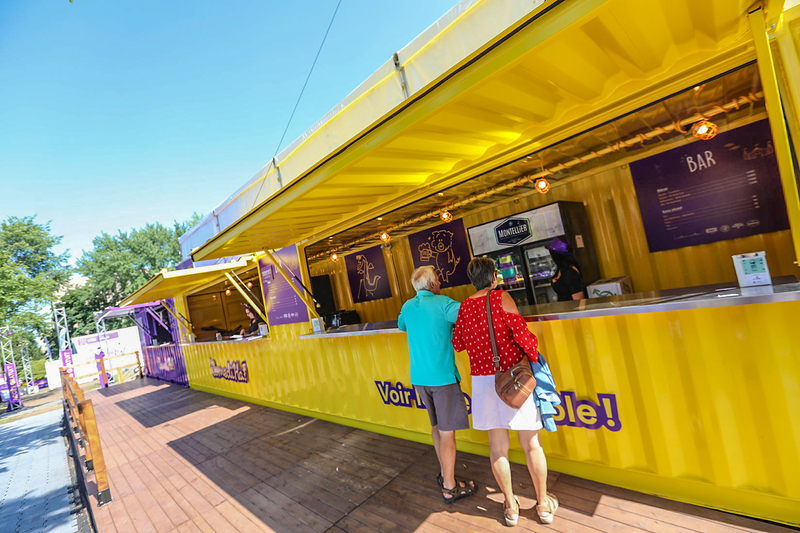 A further benefit of the theatre’s modular construction is that it can be configured with smaller footprints to fit available space or for when smaller audiences are expected.This is a simple matter of selecting the right array of containers to meet a production’s needs. 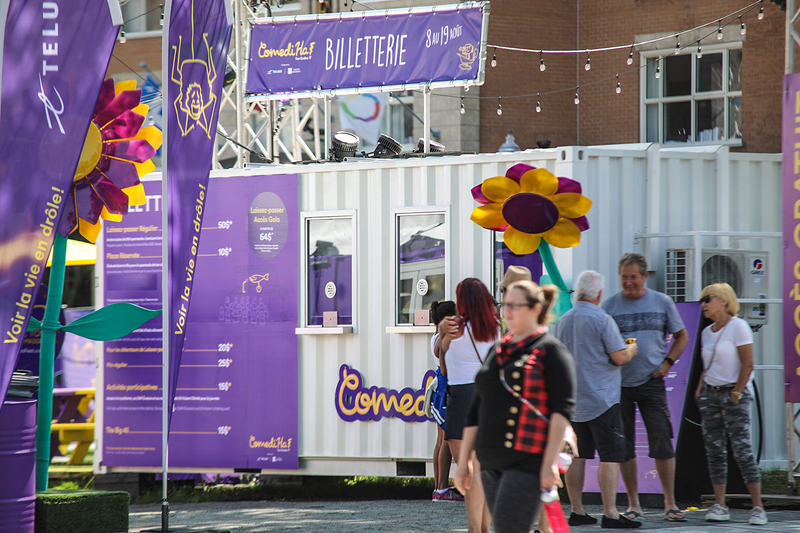 In keeping with the ecological thinking behind recycled shipping container construction, festival director Pierre-Luc Dancause says the organization’s intention is to use the mobile theatre every year for years to come.